It's priced at RM18.80 for the burger alacarte. For set that would be + RM7.80 for a side and a bottomless soda. All prices are inclusive of GST. Unfortunately, there will be limited portions (50~100) per day per Lab for now. Rendang damn hard to cook fresh you know. Expected waiting time can go up to ONE hour+ between queueing up and getting the burger as all burgers are cooked to order. For those who came for the viral Salted egg Yolk Burger when it launched last year, you know what we mean. peaking of which, Ultraman burger will be made unavailable for the rest of August to accommodate for a smoother work flow in the kitchen. 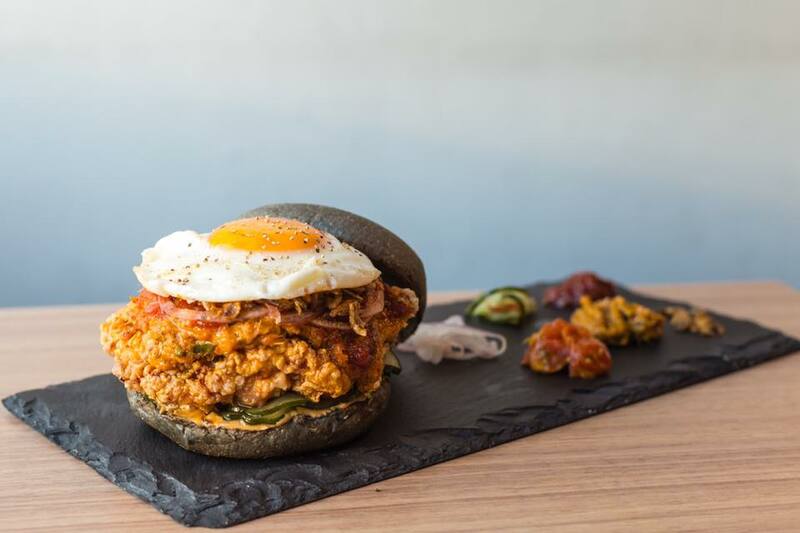 Sorry Salted Egg Yolk fans, you can take a break for one month right? Also, after a long deliberation, we've decided that there will be NO PREORDERS or RESERVATIONS for the burger as we want to reduce any form of possible disappointment from missed out communications (it happened last year). However, you can find out when at the store how many NLAR Burger is still available from our Geeks. We will also post on all social media channels when each store sells out on a daily basis. A word of advice: COME EARLY. Tentatively available till 31st August. Might extend if everyone loves it.. just like The Ultraman! ps. The burger you get will not look as pretty as the photoshoot burgers cause.. DUH. But we promise it'll be equally tasty! We thank you all for your support and we look forward to serving you all over the month of August (and more)! LOVE YOU GAIS! Help share out this PSA please? Thank you!